If you’re in the market for hardwood floors, you’ve probably considered the standard options: oak, pine, cherry, or maybe even bamboo. But there’s another wood type you might want to add to your list. 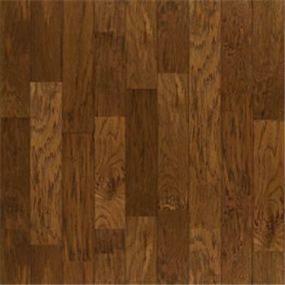 Hickory has been a best-selling hardwood flooring species for years. Read on for our top four reasons why hickory might be the perfect choice for your home. 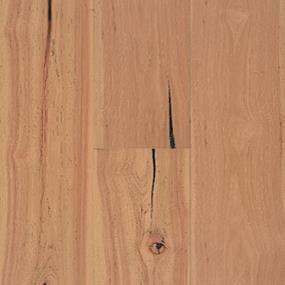 For busy households with pets, kids and constant activity, hickory is an ideal choice. It’s harder than most other domestic wood species including oak, maple, teak and pine. Hickory hardwood flooring is able to withstand every day wear and tear, heat, weight and pressure, making it ideal for high-traffic areas like hallways and kitchens. If you’re looking for a flooring option with high shock resistance, look no further than hickory; it’s the same wood used to make baseball bats and golf clubs. Because it’s highly durable, hickory flooring withstands dog paws, high heel marks and dropped objects better than many other hardwood products. Its distinctive graining pattern also does a fine job of hiding scratches that might appear in the flooring over time. And that means less maintenance for you. Hickory floors are easy to keep clean with just a cloth mop or vacuum about once a week. Hickory is known for its beautiful and distinct grain patterns, and comes in a wide range of colors from white to various shades of brown, from red tones to deep coffee. Unlike some other hardwoods, hickory takes well to stains. 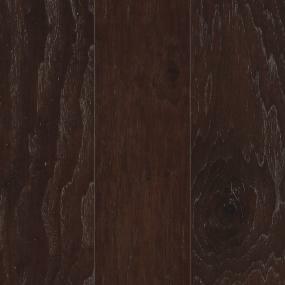 A lighter stain will highlight its unique grain patters, while darker stains will minimize these differences, making the wood look more uniform. Its pattern variations mimic that of reclaimed wood, which has enjoyed a surge in popularity in the past several years. Its unique texture adds character and lived-in warmth to any room in your home. Wide plank hardwood flooring has become more popular recently, which is good news for hickory lovers. Narrower strips of this wood tend to look busy due to its irregular grain and variations, which are noticeably high, not just in a finished floor, but within each plank, so it may not be a good wood choice if you prefer more subtle flooring. Hickory is most popular among homeowners designing a rustic space (think log cabins and country cottages), but it can also give off an eclectic vibe when used in a more contemporary design. Review inspiration and the online catalog of hardwood flooring products. Find the look you desire, and add the images to the myProSource project center to share with your friends and, of course, your trade professional. Whatever your design preference, though, its timeless appeal, unmatched strength and durability means you’ll enjoy your hickory wood flooring for years to come.